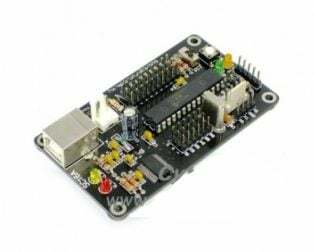 This is 16-Channel 12-bit PWM/Servo Driver – I2C interface – PCA9685. You want to make a cool robot, maybe a hexapod walker, or maybe just a piece of art with a lot of moving parts. 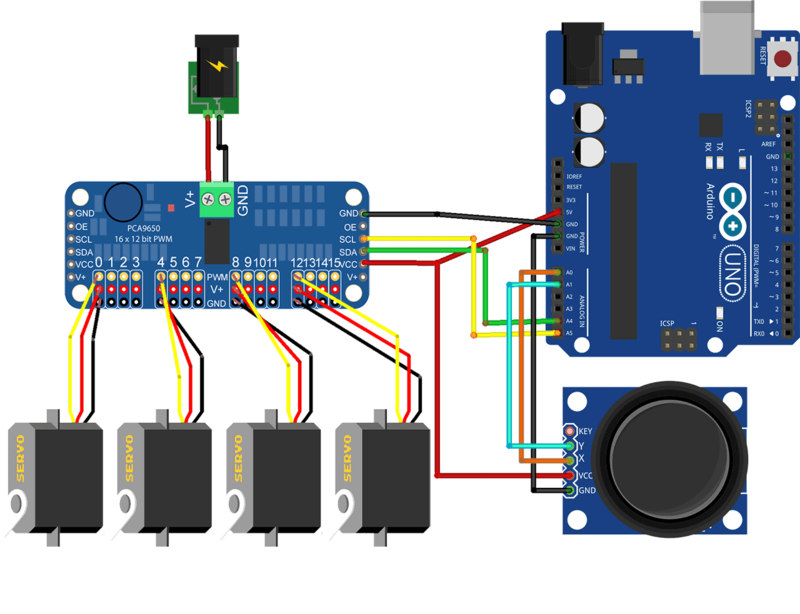 Or maybe you want to drive a lot of LEDs with precise PWM output. Then you realize that your microcontroller has a limited number of PWM outputs! What now? 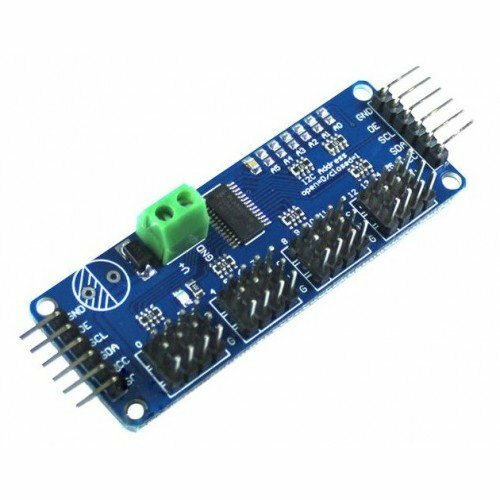 You could give up OR you could just get this handy PWM and Servo driver breakout. 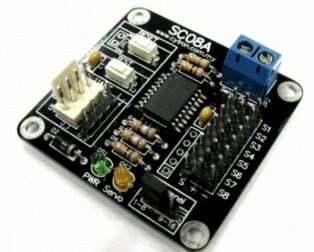 Programmable fuzzy group (dim) / Flashing LED brightness independent mixed with 1MHz Fast-mode Plus is compatible with high drive capability has 30mA on SDA I2C bus interface to drive a highly capacitive bus. Each LED output can be achieved from the fully closed (the default) to 4096 (12) between the maximum brightness linear programmable brightness. 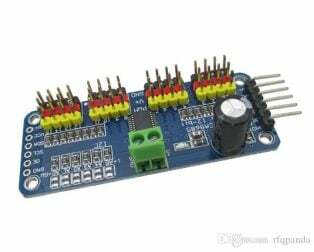 Software programmable open-drain LED output selection (the default is a push-pull) of 16 push-pull outputs (at 5V 25mA sink can absorb and provide 10mA current draw), no input function. 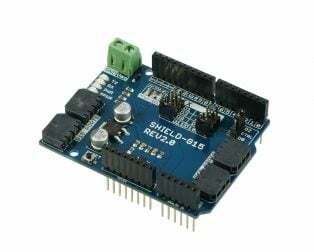 Programmable output state is in response to an order to change or stop to achieve simultaneously update all outputs or by-byte (byte-by-byte) update output (default is “Stop command to change”). 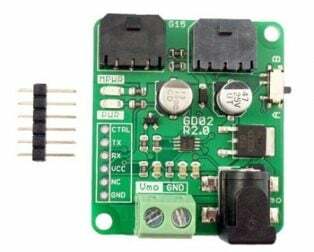 Effective low output enable input pin when the pin is high, the LED output can be programmed to 0,1 or tri-state (high impedance power-on default). 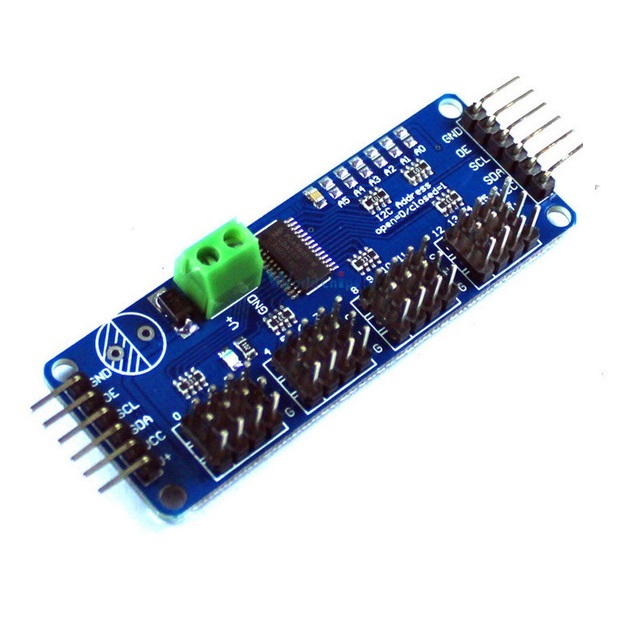 6 hardware address pins so that the same can be connected to 62 PCA9685 I2C devices on the bus. LED output frequency (all LED) is typically 40Hz to 1000Hz (When the oscillator is 25MHz, the prescaler register default value 1EH 200Hz refresh rate will generate a). 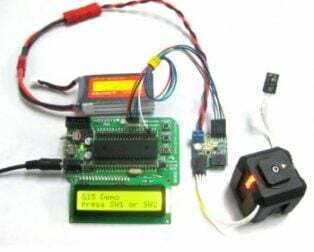 4 software programmable I2C bus address (an LED group call (Call) address and three sub-LED call (Call) address) such that the device can be set in any combination to be addressed at the same time (e.g., a register used for ” All calls (All Call) “then all PCA9634 devices on the I2C bus can be addressed at the same time, while the second register for three different addresses, then a device group. 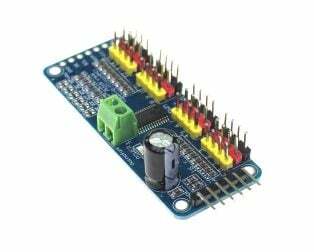 1/3 bus devices can be addressed at the same time), you can enable and disable the software I2C bus address. Excellent quality of product from robu. 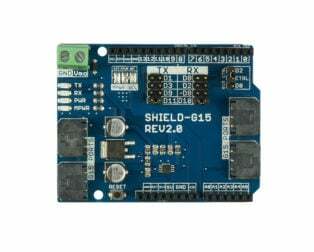 We were looking for a development board and this is the cheapest and best quality we could find.